Clydesdale Western will play their final Pool A match in EuroHockey Club Challenge I against Lithuanian side Gintra Strekte Uni HC in Lille on Sunday morning. ‘Dale Western beat SK Slavia Prague on Saturday to leave them sitting top of Pool A. 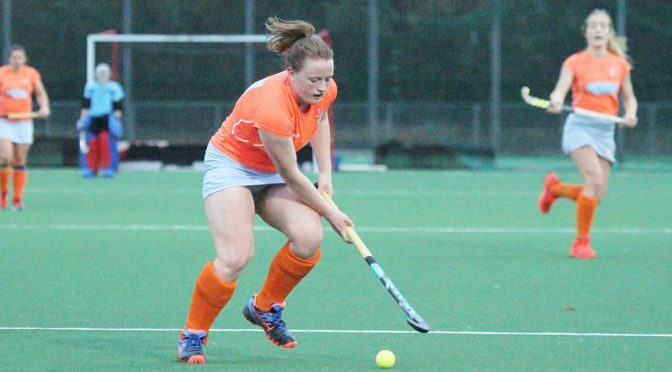 A win against Gintra will most likely confirm the L1s as Pool A winners, and will seal qualification for the Promotion Play-Off Final on Monday to promote the country’s seeding for European hockey next year. Clydesdale Western have played Gintra previously, having won 4-2 in last season’s Club Challenge I in Edinburgh. Much like the other two games, Head Coach Derek Forsyth has a full squad available to use. 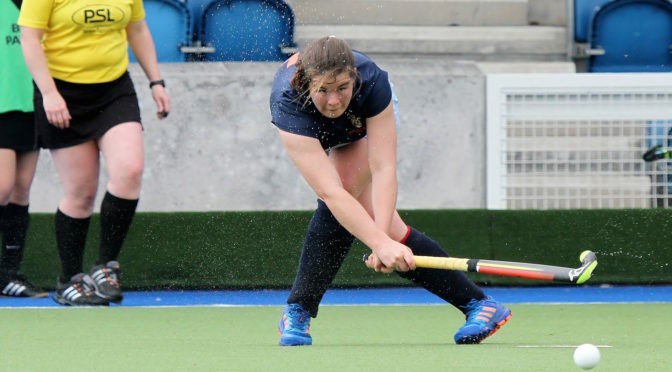 Clydesdale Western’s strengthened their chances of a top two finish in Pool A of EuroHockey Club Challenge I after narrowly beating Czech side SK Slavia Prague on Saturday morning. ‘Dale Western followed up a goalless draw in their opening game against Rotweiss Wittengen with a 3-2 win over Slavia Prague – goals coming from Ali Eadie, Lexi Sabatelli and Jen Eadie respectively. The result sees the L1s take five points, as per competition rules, to leave them top of Pool A in Club Challenge I with one game remaining. In the contest itself, Clydesdale Western were much improved from their goal shy performance the previous day and showcased their superiority throughout the majority of the match. The L1s began well as Emma McGregor and Sabatelli both had chances in the first few minutes. The latter had another shot that hit a defender on the line resulting in the award of a penalty flick that was duly despatched by Ali Eadie. A mix up in the ‘Dale Western defence lead to Slavia’s equaliser in the second quarter. But the L1s responded immediately when a sweeping move forward saw the ball arrive at Sabatelli, who produced a reverse stick shot from the top of the circle to regain the lead for her side. Clydesdale Western began to use the ball effectively as they continued to create scoring chances, in particular from penalty corners. A few were denied by the Czech opposition, but in saving one saw a rebound fall kindly for Jen Eadie, who slotted to give the L1s a 3-1 lead. ‘Dale Western had a couple of more chances to make it 4-1, but were a tad wasteful before Slavia Prague scored a second goal in the last minute. 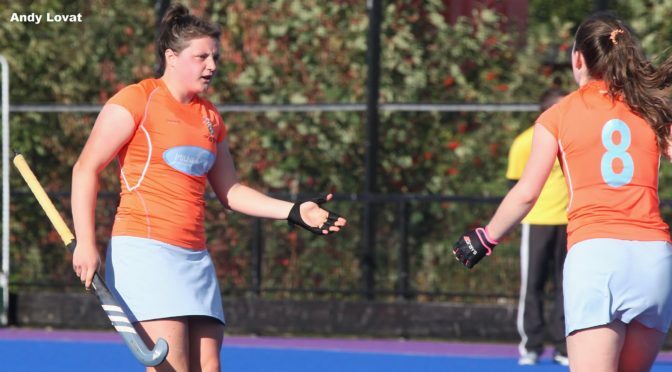 Clydesdale Western did, however, see out time to give them their first win of EuroHockey Club Challenge I this season. On Sunday morning, the L1s will face Gintra Strekte from Lithuania in a game that a win would be required at the very most if they were to finish top of Pool A and qualify for one of four Promotion Play-Off Final spots. 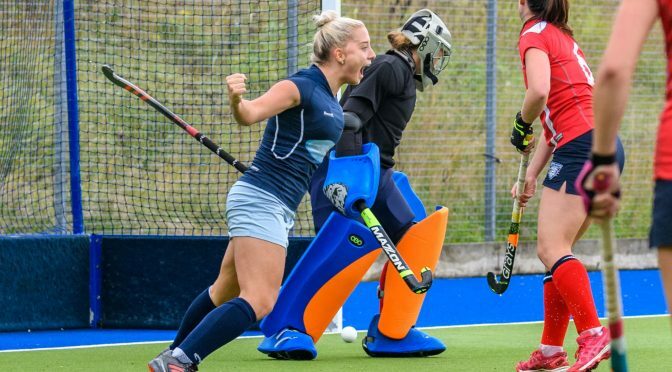 Clydesdale Western face a tough game in their second outing in Pool A of EuroHockey Club Challenge I when they take on Czech Republic’s SK Slavia Prague on Saturday from 9.15am in Lille. ‘Dale Western took two points as per competition rules following their 0-0 draw on Friday against HC Rotweiss Wittengen, whilst SK Slavia Prague – who won 2-0 against Gintra Strekte Uni HC – took five points. Realistically, the L1s will be aware that to give them the best chance of qualifying for the Promotion Play-Off Final, a result against SK Slavia Prague will be required. Clydesdale Western had no injury concerns following their contest with Rotweiss Wittengen, so all outfield players will be expected to feature in Saturday’s match up with Slavia Prague. 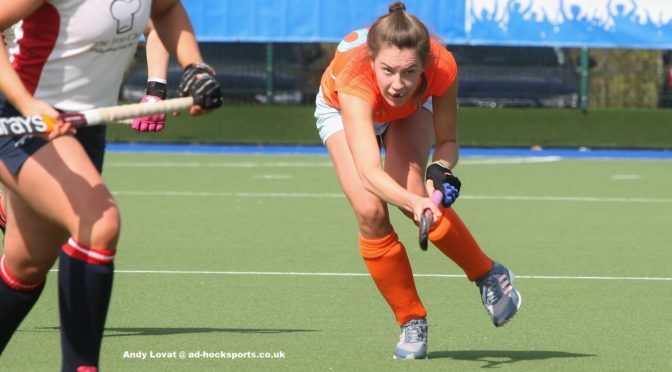 Clydesdale Western’s opening of game in EuroHockey Club Challenge I Pool A ended in a largely uneventful goalless draw with HC Rotweiss Wittengen in Lille on Friday morning. In a game of few chances, ‘Dale Western shaded the first quarter, but their Swiss opponents improved in the second. In the third quarter, forward Heather Lang missed out on a chance to open the scoring before goalkeeper Jessica Buchanan was called to action with a superb save at the very end of the same quarter. The fourth and final quarter took a similar path to the preceding three quarters as both sides were ultimately lacking in the killer instinct. The L1s best opportunity in the final quarter came and went when Emma McGregor produced a brilliant run, but her square ball sadly was unable to find a ‘Dale Western teammate. Both sides settled for a 0-0 draw, and have two points each in Pool A of EuroHockey Club Challenge I. Clydesdale Western will face SK Slavia Prague, 9.15am on Saturday 20th April. Clydesdale Western begin their EuroHockey Club Challenge I campaign off with a Pool A clash against HC Rotweiss Wittengen from the revised time of 9.15am in Lille, France. The two sides were originally scheduled to play at 1.30pm. However, due to a pitch watering issue, the Club Challenge I fixtures have all been rescheduled. All Pool A games – which features Clydesdale Western – will be played simultaneously at 9.15am, whilst Pool B fixtures are to take place simultaneously from 7.30pm. ‘Dale Western and HC Rotweiss Wittengen (Switzerland) are two of four teams in Pool A of the Club Challenge I competition. After the two sides meet for the opening fixture, they will play the remaining two teams in their Pool – SK Slavia Prague (Czech Republic) and Gintra Strekte Uni HC (Lithuania) – before being appropriately placed based on results from the six matches. The final position will determine whether teams will be playing for the Promotion Play-Off Final or the Relegation Play-Off Final. A Promotion Play-Off win would promote the club’s respective country’s seeding for next season to the next European competition above Club Challenge I, whilst a loss in the Relegation Play-Off would go a seeding below. Incidentally, the L1s have not played HC Rotweiss Wittengen in recent years, but came up against Gintra Strekte Uni HC in last year’s Club Challenge I – with the L1s winning 4-2 in their opening game of the competition. The two sides also met in this year’s European Indoor Club Trophy, with Gintra sealing an 8-2 win, whilst SK Slavia Prague won 4-2 against the L1s in the same competition. For Head Coach Derek Forsyth, there are no issues with personnel as all of the selected squad for Lille are expected to feature during tomorrow’s clash.